Organic Fruit and Oat snack is a HIT! Not sure I like the name, but I am sure I love the product. This is a terrific recipe that is designed to support gut health. 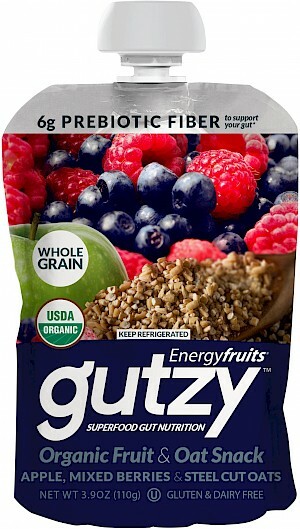 it is a combination of fruits and oats that gives us 6 grams of delicious prebiotic fiber. Just 100 calories, with one gram of fat, only 10 mg of sodium, 10 grams of naturally occurring sugars from the fruits and one gram of protein. Terrific and delicious product.